Given Bitcoin’s rise in the search for a globally accepted currency, Facebook has recently rolled out peer-to-peer payments and, according to experts, is set to become one of the most powerful financial institutions in the world. With foreign workers sending almost $583 million, also known as remittances, to people in their home countries, that accounts for almost 30% of the GDP in certain countries. That said, sending money is pretty expensive with Western Union and MoneyGram controlling the industry at the moment and where transfer fees ranges from eight to as much as 29 percent. Facebook will not charge for transfers in this regard even though they are being charged by banks given that they have no desire to “make a profit out of payments”. For now, these transfers are limited only to the United States but it won’t be long before cross-border transactions take place as well. Even if they do charge a fee for these transactions, it will be minimal in comparison to the aforementioned companies. What this means in the long term is that the social network has the power to destroy both MoneyGram and Western Union and which will give people living in developing countries the access to free-flowing money but minus the hefty charges. 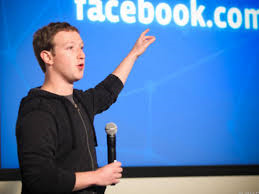 And Facebook is already setting itself up to become a major financial institution as it is waiting for approval from the Central Bank of Ireland so as to become a electronic financial institution throughout Europe. Having said that, with the social network reaching saturation in both Europe and North America, there is no better way to add more users to the network by creating an application that will help them receive money from abroad.